Find hotel near Museum Of Costume And Lac .. This is a curious little museum. Devoted entirely to the fashion of lace in Brussels, Belgium and Europe from the 17th century onwards, the museum has a rich collection of antique lace, explains the process of lace making and organises temporary exhibits on the craft throughout the year. Most of the collection is rotated out every year too. The range of focus goes as far as to explore lace in Barbie dolls. Which is why it's strange the museum does not explain what a huge role lace played in Belgian history. Still exhibits are fantastic. Free for under 18s, residents of brussels, and on the first Sunday of the month. Combination tickets available with Brussels City Museum and the Sewers Museum. Subway 1, 5; Buses 29, 63, 65, 66 stop Gare Centrale. Trams 3, 4, 32 stop Beurs Bourse. Buses 48, 95 stop Parlement Bruxellois. 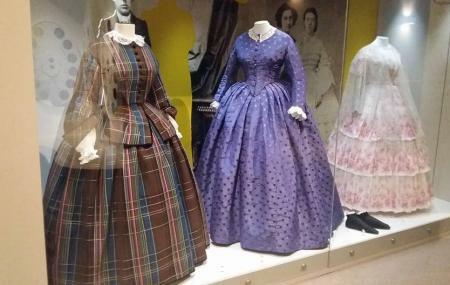 How popular is Museum Of Costume And Lace? People normally club together Eglise Protestante Unie and Royal Library Of Belgium while planning their visit to Museum Of Costume And Lace. I always enjoy a visit to the museum. It's a small museum with one exhibit at a time. In the numerous times that I've been, the exhibition was always well organised and informative and made from beautiful clothes you can admire. Great exposition Learned a lot! Small museum with good spectrum of all lance details, for sure you have to see a short video to get know history of lance. Amazing. Small but so well done. Nice place to visit. Not ordinary look at fashion.